Stephen Sara, the WASH Team Lead on USAID’s Flagship Maternal and Child Survival Program (MCSP) discusses the Clean Clinic Approach, MCSP’s approach for improving WASH in health care facilities. The approach focuses on facilitating incremental, low-cost WASH improvements to support maternal and newborn health outcomes. The webinar will review existing standards and tools, discuss the relationship between WASH and infection prevention & control (IPC) and share experiences and lessons learned from implementing the Clean Clinic Approach as part of an integrated health program. Achieving quality universal health coverage through better water, sanitation and hygiene services in health care facilities: A focus on Cambodia and Ethiopia. WHO, December 2017. The WHO/UNICEF Global Action Plan for WASH in HCFs recognises that sustained improvements in WASH in Health Care Facilities require integration between quality of care efforts and WASH. To date, little evidence is available on how such integration occurs at country level. To address this knowledge gap, WHO has conducted several in-depth situational analysis in countries that are undertaking actions to improve WASH in Health Care Facilities as part of their quality of care improvement efforts. The purpose of the situation analyses was to capture mechanisms that “jointly support” WASH in HCF and quality of care improvements and also identify barriers and challenges to implementing and sustaining these improvements. May 3, 2017 Webinar: WASH Counts in Healthcare Facilities! To learn how WASH can prevent the spread of healthcare-associated infections, join Medentech and the Global Handwashing Partnership on May 3 at 10 am EST for a webinar observing Hand Hygiene Day (May 5). Medentech will share lessons learned from its work in infection prevention across the world and offer some tools for continued hygiene improvement in healthcare clinics globally. Presenters will also share links to educational resources and tools during the webinar. We look forward to having you join us on May 3 at 10 am EST! Please register here: bit.ly/WASHinHCF. Lucy Lamble presents this edition of the Global development podcast, looking at how the lack of water and sanitation is affecting health centres in Mali. Just 20% of the country’s health facilities provide clean water. 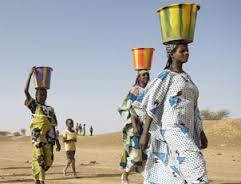 She visits Diatoula, 15km south-east of Bamako, a community of 1,000 people which has one health centre, and hears from Nurse Vinima Baya about how they cope with the lack of water within the facility, with patients and their families gathering buckets of water from the village well. At Kalabancoro town on the outskirts of Bamako, Lucy visits a clinic opened in 2013, which has done much to improve healthcare for local residents – but where staff still have to buy safe drinking water or ask patients to bring it in. We hear from experts including Mamadou Diarafa Diallo, WaterAid’s country representative in Mali, and Maggie Montgomery, from WHO’s Water, Sanitation and Health unit, on the problems the country faces in improving access to safe water.